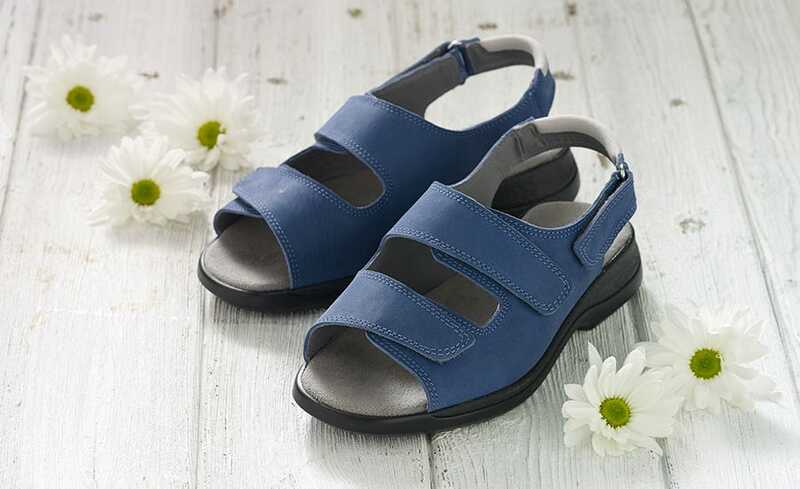 Our Sunny sandal offers swollen feet a very flexible fit as it has three adjustable fastenings. The two touch-fastening straps across the foot open right out so it’s easy to get on a swollen foot while the strap around the heel is cushioned so it won’t cut into swelling. It’s very flattering to swollen feet as it has ample foot cover and it has a broad toe opening that allows toes to sit comfortably. 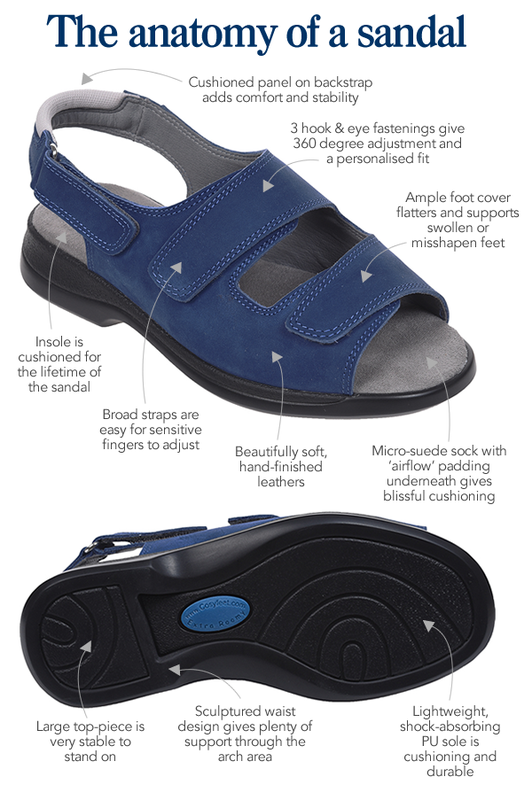 It’s also a good choice for people with sensitive feet as the footbed is very cushioning. The sole is made from the lightest PU compound available which gives a balance of durability, shock-absorption and lightness. The lasted construction provides a supportive base through the length of the sandal with good flex across the instep.